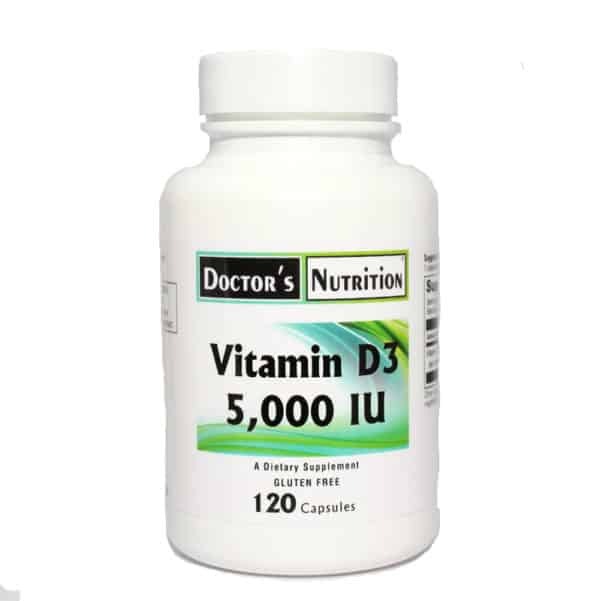 • Vitamin D is a fat-soluble vitamin that is essential for maintaining normal calcium metabolism. Vitamin D3 (cholecalciferol) can be synthesized by humans in the skin upon exposure to ultraviolet-B (UVB) radiation from sunlight, or it can be obtained from the diet. • Maintenance of serum calcium levels within a normal range is vital for normal functioning of the nervous system, as well as for bone growth, and maintenance of bone density. Vitamin D is essential for the efficient utilization of calcium by the body. 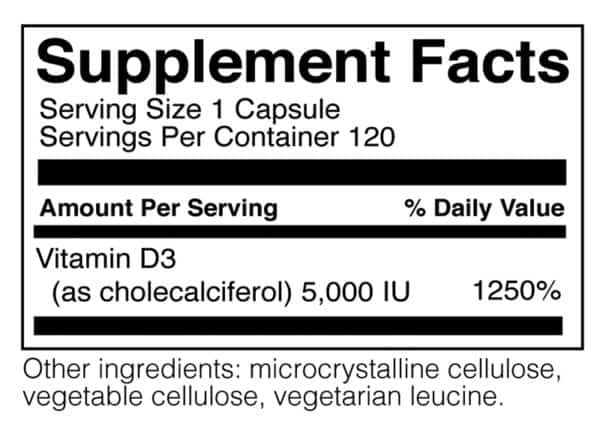 Suggested Use: As a dietary supplement, take 1 capsule daily or as professionally directed. Warning: Individuals taking more than 5,000 IU per day should have their Vitamin D levels monitored. If pregnant or nursing, consult your healthcare practitioner before taking these or any nutritional product.